What do you get when you roast down Roma tomatoes and then blend them with vegetables and our special spice blend? An antioxidant-rich "flavorbomb" that will thrill your taste buds, keep your peepers in top form and make your skin glow. *Enjoy chilled for a refreshing meal or snack! Packed with a healthy dose of lutein and lycopene, this gazpacho soup aids in eye and skin health while the fiber from the tomatoes keeps you feeling satisfied and energized all day long. Ingredients- roma tomatoes, piquillo pepper, water, onion, olive oil, garlic, salt. This entry was posted in Food Trends, News, Newsletter, Product Review, Soup and tagged gazpacho, jus, roasted tomato, soup on November 6, 2016 by Staff Editor. Take the fresh tang of whole, ripe tomatoes, sweeten them with bell pepper and red onion, then savor the healthy whole-someness! Claims: Gluten Free. Organic. Non-GMO. Good Source of Fiber. No added sugar. This entry was posted in Beverage, Drink Trends, News, Newsletter, Product Review, Ready to Drink and tagged gazpacho, organic, tomato, vegetable soup, ZÜPA NOMA on October 18, 2016 by Staff. Miami Beach, FL (Feb 16, 2015) – Can you imagine drinking the freshest chilled gazpacho out of a bottle? Tío Gazpacho can, and in fact, the company will be serving up samples of its award-winning chilled organic soups at the South Beach Food and Wine Festival, one of America’s most prestigious gourmet gatherings. Based in Miami Beach, Tío Gazpacho will be right at home at this internationally renowned event where the company will showcase its three gazpacho soup varieties to more than 60,000 expected attendees as part of the Whole Foods Market Grand Tasting Village. A highly anticipated feature of the festival, the Whole Foods Market Grand Tasting Village provides a one-of-a-kind experience for attendees to sample locally produced food products, gourmet cuisine, unique wines and tasty spirits right on the beach. "The timing of this event couldn't be better and we are excited to be part of the Whole Foods Village," said Austin Allan, Founder of Tío Gazpacho. The company received a boost in December when it was recognized by industry peers at BevNET, the leading conference for the beverage trade. Tío Gazpacho was voted Audience Favorite and overall Winner of BevNET's New Beverage Showdown 8 (8th edition), and also took home the award for Best Smoothie/Meal Replacement of 2014. "After being honored at BevNET, we felt that participating in this iconic consumer event would create an opportunity to share our products with a larger audience," said Austin. Top food and wine experts and personalities from around the world will be featured throughout the show. This year's celebrity lineup includes Trisha Yearwood, Rachel Ray, Emeril Lagasse and Guy Fieri, among other internationally recognized chefs. About Tío Gazpacho: Unapologetically cold. Deliciously bold. The original savory gazpacho soup, blended with fresh, nutritious ingredients, boasts an exotic history with influences from Greece, Italy and Africa, and finally perfected in Spain. Tío Gazpacho takes this classic chilled mash-up and turns it on its head, with three bold, delicious variations - all organic and alive with flavor. Perfect for a healthy snack or lunch on the go. Ready to drink straight from the bottle. No bowl required™. 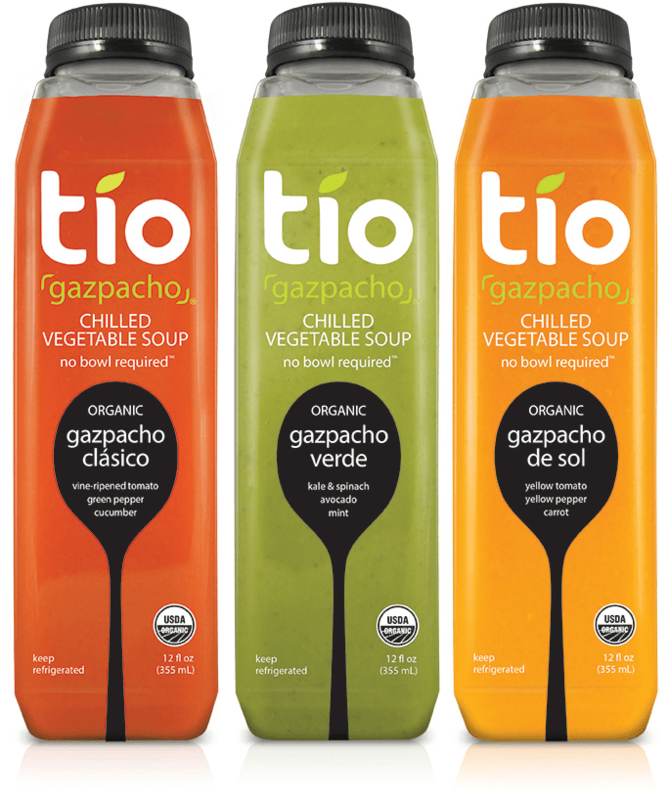 Tío is a new concept in refreshment and nutrition; it brings all the flavors and health benefits of Mediterranean eating to American consumers with a line of drinkable gazpachos. All crafted recipes are Certified USDA Organic, vegetarian and vegan, gluten-free, dairy-free, soy-free, and rich in vitamins, minerals and antioxidants - and they are free of preservatives, colors, artificial flavors and additives of any kind, and are never heat pasteurized. gazpacho clásico: Creamy and complex, with bright flavors from vine-ripened tomatoes, cucumber, green pepper and olive oil. gazpacho verde: A rich blend of kale, spinach, cucumber and avocado with freshly picked mint, jalapeno, cumin and black pepper. gazpacho de sol: A sweet summer variety that owes its distinctive color to yellow tomatoes, fresh carrot juice and yellow bell peppers. This entry was posted in Beverage, Drink Trends, News, Newsletter and tagged festival, food and wine, gazpacho, south beach, tio gazpacho on February 17, 2015 by Frank. The original gazpacho soup boasts an exotic history as blended as its fresh, nutritious ingredients, with influences from Greece, Italy and Africa – finally perfected in Spain. Made in Miami, Tío Gazpacho takes this classic chilled mash-up and turns it on its head, with three boldly delicious variations, all organic and alive with flavor. Perfect for a healthy snack or lunch on the go. Ready to drink straight from the bottle. No Bowl Required™. Creamy and complex, with bright flavors from naturally-ripened tomatoes, cucumber, green pepper, and olive oil. Serve chilled for a kick to your daily routine. A rich blend of kale, spinach and avocado with freshly picked mint, cucumber, jalapeño, cumin, and black pepper to create a burst of flavor in your mouth. Our sweet summer variety owes its distinctive color to yellow tomatoes, fresh carrot juice and yellow bell peppers. A cool yet delicate spin of flavors. I enjoyed my first unforgettable taste of gazpacho while studying abroad in Spain. Everything I loved about the country—the rhythm of Spanish life, boisterous, never-ending meals and warm, upbeat people—came together in its chilled, savory soup. My friends laughed the first time they caught me drinking it straight from the carton. I didn’t care. Gazpacho had stolen my heart. I knew, one day, I would bring that bold taste home to share. If you’re ready for a soup that’s alive with flavor and unapologetically cold, you’re ready for Tío Gazpacho. Drink it straight from the bottle. No bowl required™. Slogan: Unapologetically cold. Deliciously bold. 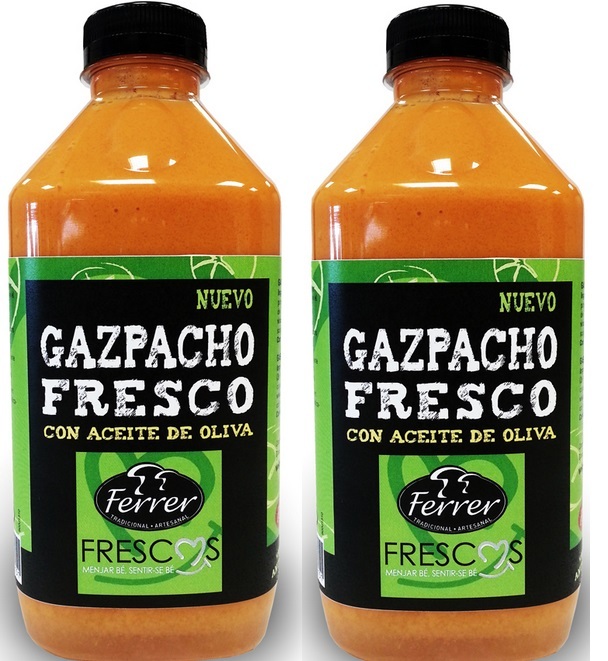 This entry was posted in Beverage, Drink Trends, Juice, News, Newsletter, Product Review and tagged gazpacho, tio gazpacho on September 30, 2014 by Frank. 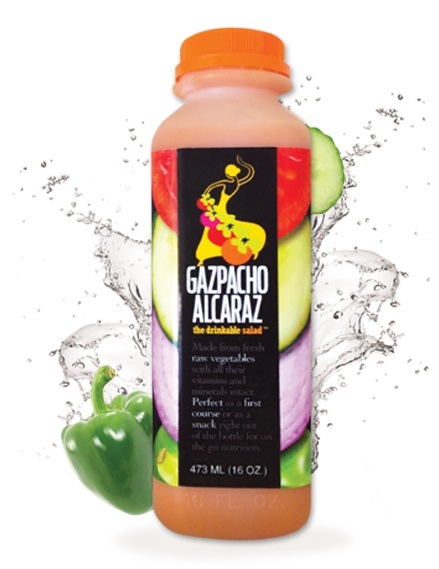 Gazpacho Alcaraz, The Drinkable Salad™ was created out of a desire to provide consumers with a healthy, nutritious and tasty drinkable meal. We all lead very busy lives and there are not enough food products in the market that provide healthy nourishment while on the go. Enjoy it as a snack or as a first course, on the go or at home. Even after exercising, The Drinkable Salad™ is a great recovery drink. Indulge without guilt. Welcome to the world of Gazpacho Alcaraz, The Drinkable Salad™. Low Fat 100% Vegan Gluten Free The Drinkable Salad™ has only 90 calories per serving yet enjoys a high nutritional value. It also contains 50% vitamin C, 20% vitamin A plus dietary fiber. Moreover, it has only 7 grams of carbohydrates. A recent scientific study by the University of Barcelona links habitual consumption of gazpacho with lowering blood pressure. This entry was posted in Beverage, Drink Trends, Functional, Juice, News, Newsletter, Product Review and tagged gazpacho, gazpacho alcaraz on March 31, 2014 by Frank. A practical Gazpacho in individual size. Carrots are very rich in pro-vitamin A (or beta-carotene) that stands for a strong antioxidant. This pro-vitamin gives vitamin A, which protects the skin and mucous. Carrots bring a lot of minerals like potassium, magnesium, and manganese. Carrots have nutriments such as pectin and are defined as soluble fibers. 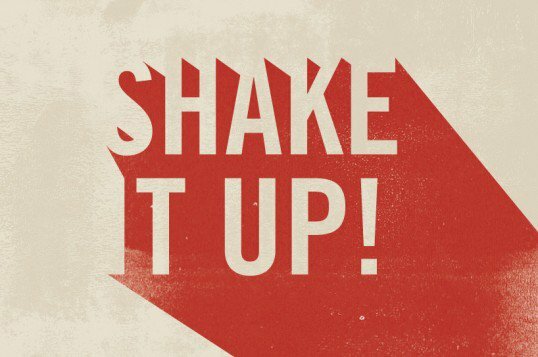 This entry was posted in Beverage, Drink Trends, News, Product Review and tagged france, gazpacho, pierre martinet on November 5, 2013 by Frank. This recipe of Gazpacho associates beetroot, tomato, apple juice, lemon juice and a headland of ail and persil. Beetroot is so rich in insoluble fibers, which are good for intestinal transit; they bring a lot of minerals like potassium and magnesium. They contain anthocyanins that give the red color. Ingredients are the following ones: polyphenols, strong antioxidants. Polyphenols antioxidants slow down cellular wear and ageing, plus contribute to reduce cardiovascular risk. Tomatoes contain fiber, mostly insoluble. They bring minerals (potassium, phosphorus, magnesium), oligo-elements (zinc, fluorine), vitamins B and C (10-20mg/100mg of fresh fruits) and strong anti-oxidants: pro-vitamins A (beta-carotene) and lycopene. This entry was posted in Beverage, Drink Trends, News, Newsletter, Product Review and tagged france, gazpacho, pierre martinet on October 25, 2013 by Frank. Ferrer selects the best vegetables in their ideal point of maturity to get the intense flavor of this traditional cold soup. Join her to taste with pepper flakes, onion, cucumber and / or tomato and enjoy a healthy and nutritious dish. Ingredients: Tomato (36%), red pepper, cucumber, olive oil (14%), vinegar, garlic, salt, preservative: potassium sorbate. This entry was posted in Food Trends, News, Product Review and tagged cold soup, ferrer, gazpacho, spain on June 14, 2013 by Frank. “¡Cho! is a completely unique range of on-the-go drinking Gazpacho recently launched to the UK market. Created by English entrepreneurs and a Michelin starred Spanish chef ¡Cho! is made from organic fruit and vegetables sourced and bottled in Andalucia. Gazpacho Andaluz has been a Spanish classic since time began and now we’ve re-invented it as an on-the-go snack just for you. Organic tomatoes, red and green peppers, blended with Sierra Nevada spring water, plus extra virgin olive oil and a hint of garlic sets you up like a proper Hombre! 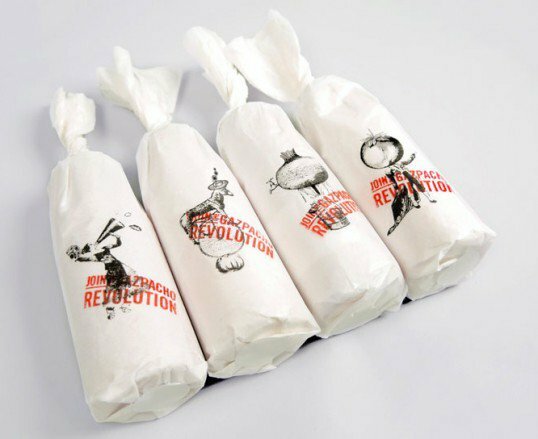 This entry was posted in Beverage, Drink Trends, News, Packaging and tagged cho, design, drinks, gazpacho, organic, packaging, uk on June 5, 2013 by Frank.